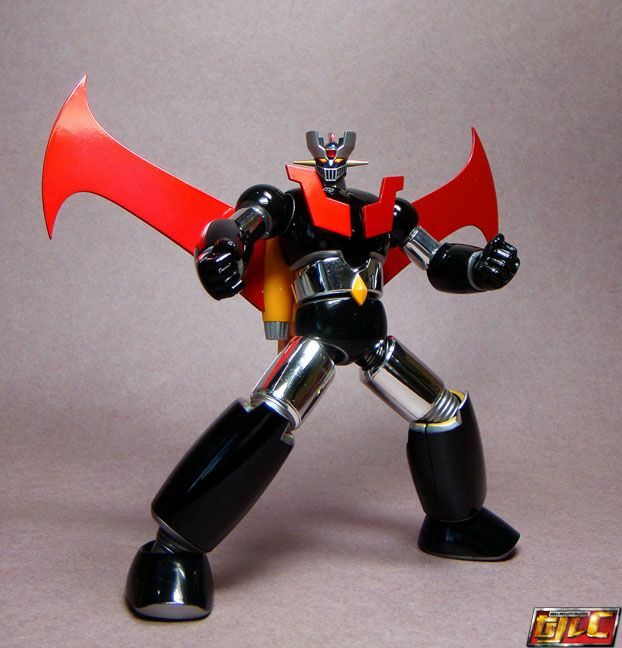 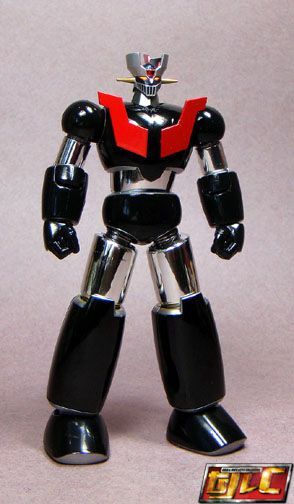 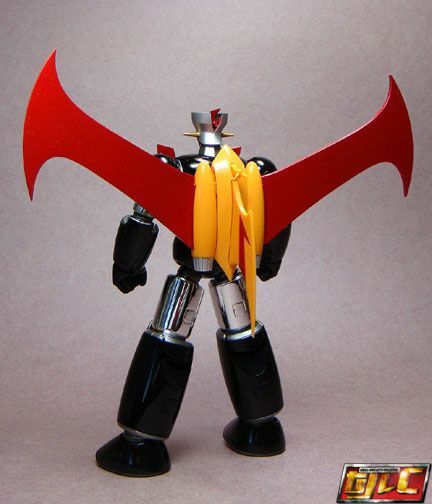 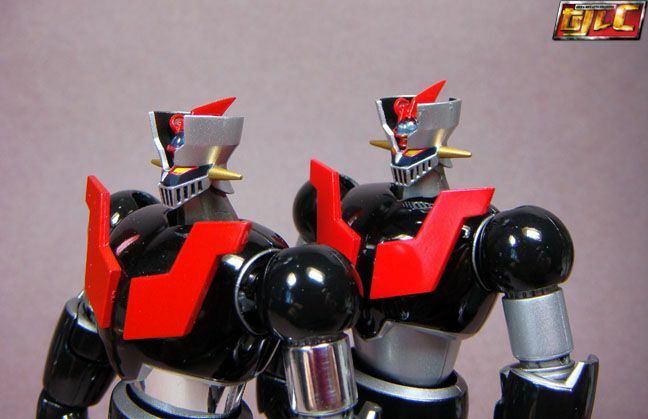 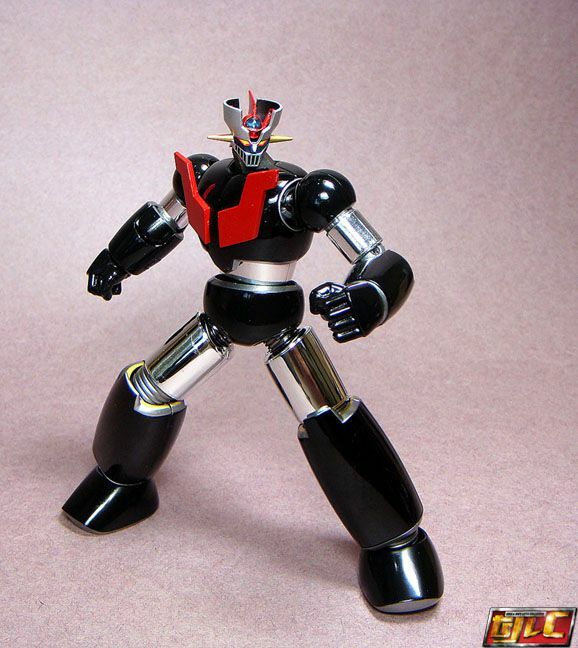 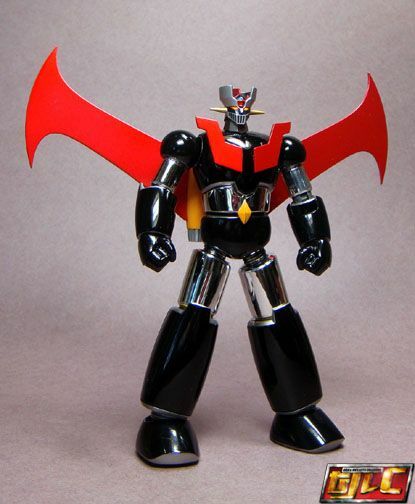 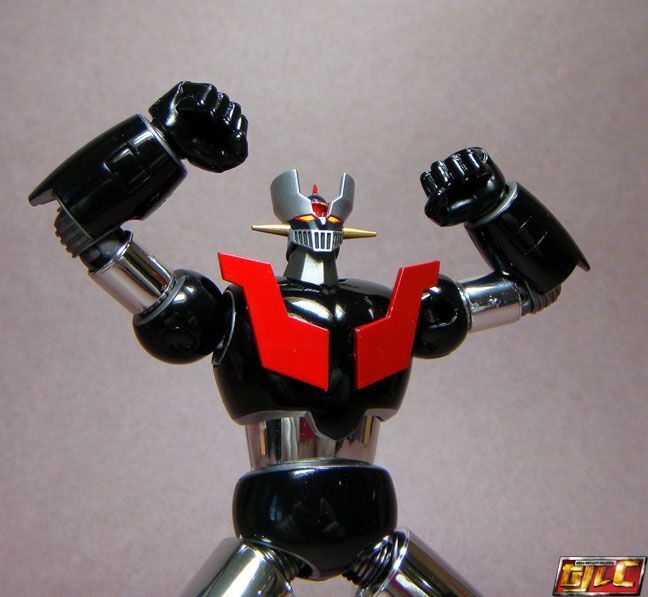 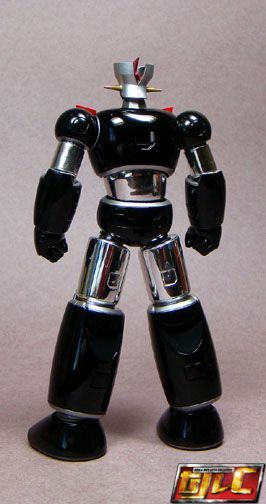 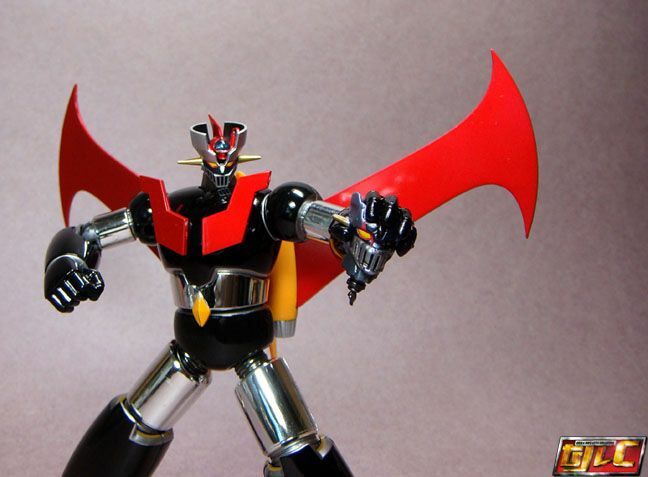 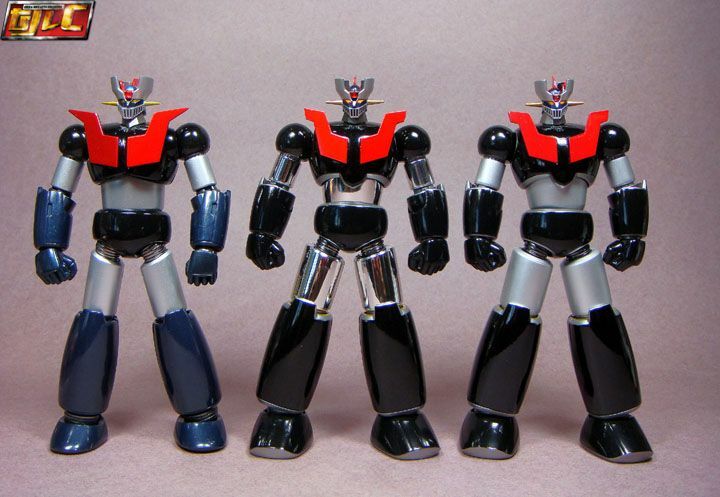 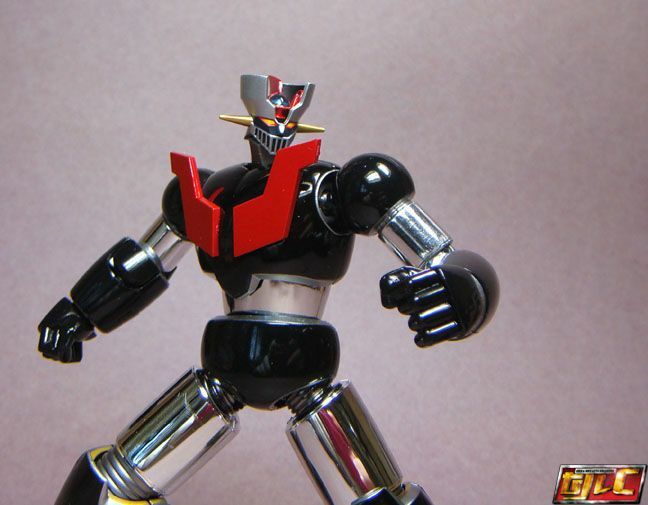 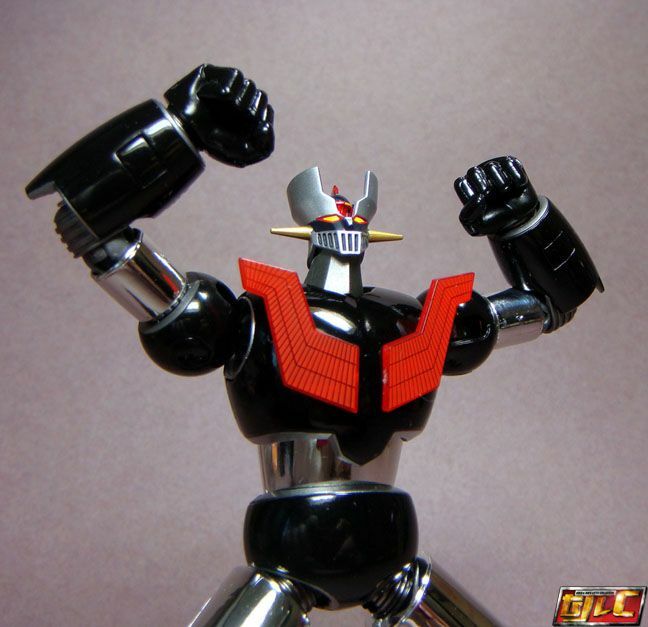 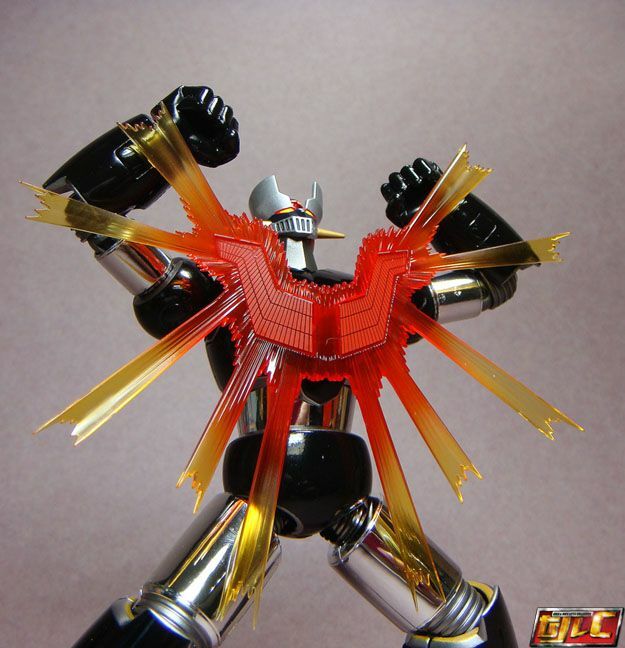 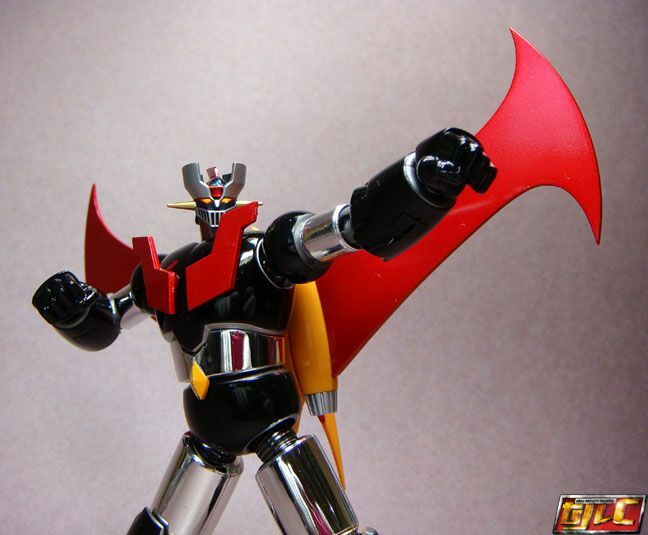 Essentially a chromed-up repaint of Shin Mazinger Z minus the God Scrander. 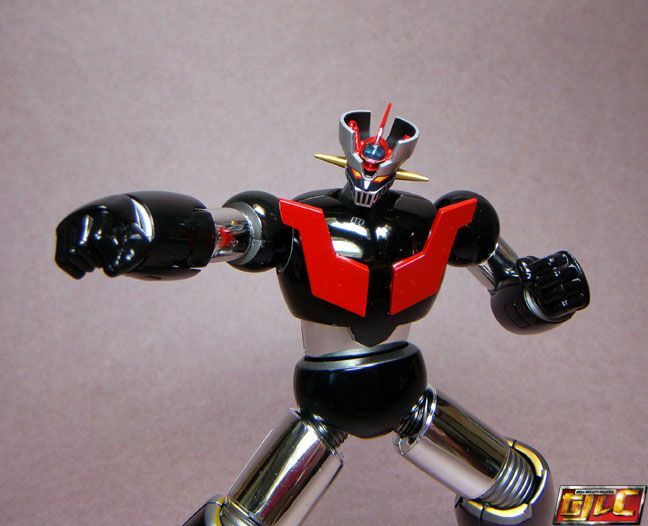 While the original came with a busted up Garada K7 head, this one comes with Energer Z’s head. 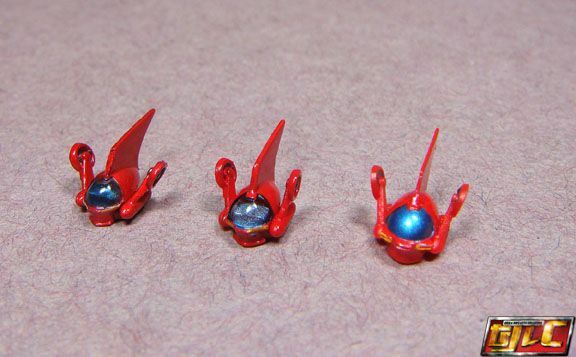 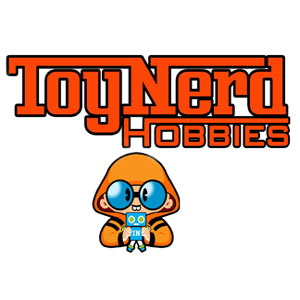 The Tamashii Event Pileder canopy (far left) here is darker.